Rick and Laura both grew up in the Finger Lakes. 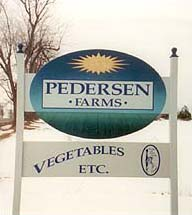 We moved back here in 1981 and began Pedersen Farms in 1983 on rented land. 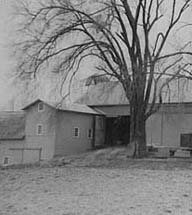 In 1986 we purchased the main farm where our offices, warehouse, shop, and cooling barn are located. We later purchased additional land on Vogt Rd. where our hops and another packing house are located. We have tried many different vegetables over the years and gradually changed from mostly processing vegetable production to mostly fresh market vegetable production. We began transitioning some of our lands to organic production in 2004. Today we have 600 acres of certified organic land which produces both organic vegetables and grain. We grow another 900 acres of conventional vegetables and grain. Our crop mix changes slightly each year depending on markets and customers’ needs. Some of our most recent additions are organic sweet corn and organic kale. We market exclusively wholesale to grocery stores, farm markets, and large wholesale companies throughout the Northeast.